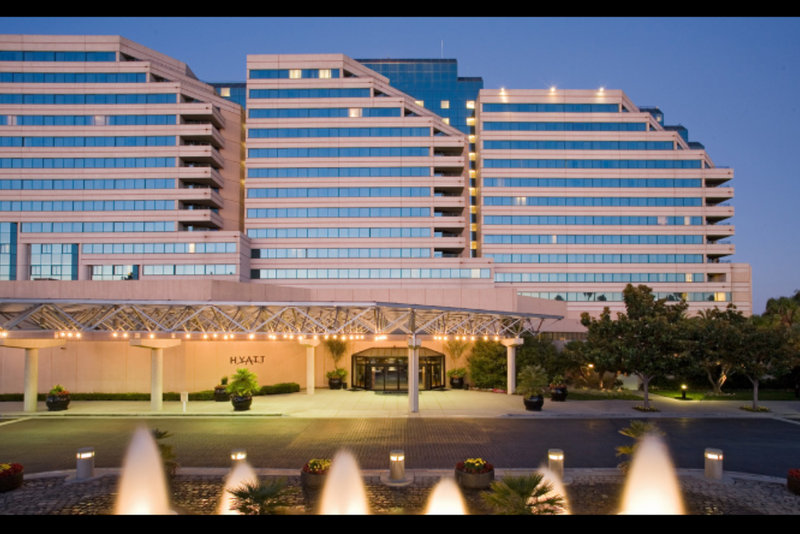 Rent Hyatt Regency Santa Clara | Corporate Events | Wedding Locations, Event Spaces and Party Venues. Located in the heart of Silicon Valley, Hyatt Regency Santa Clara features 60,000 square feet of beautiful indoor and outdoor event venues for business and social gatherings. An innovative blend of high-tech capability and Bay Area style, our modern hotel near the Santa Clara Convention Center features flexible meeting spaces, including the magnificent Grand Ballroom and lovely Terra Courtyard for intimate outdoor events. Connected to the Santa Clara Convention Center, our hotel features high-tech audiovisual gear, creative catering and event planning services so that your Santa Clara meetings inspire and entertain. Whether hosting a wedding celebration for 500 or an executive board meeting, we offer stunning venues, passionate service and unforgettable experiences. Our event planners will help coordinate all the details so you can concentrate on what’s most important. Celebrate in our sophisticated Santa Clara wedding locations offering more than 60,000 square feet of space, including the Grand Ballroom and romantic Terra Courtyard. Our convenient Silicon Valley location features beautiful views, award-winning cuisine, and an expert planning team to bring the wedding of your dreams to life. Of all the events you will plan, none will be as special as planning your own wedding. So, whether you envision an intimate gathering with your closest family and friends, or an elaborate affair with hundreds of guests, you’ll find everything you need for your perfect wedding and reception at Hyatt Regency Santa Clara. Our experienced staff will offer you peace of mind by handling every detail of your day. From choosing the right venues to helping with menus, we will hold your hand through it all. When booking your wedding package, we can also help you put together an itinerary of activities to keep your wedding party happy throughout your affair.